Ayn Rand’s corporate bible Atlas Shrugged has continued to delight readers who normally hate reading and would never use the word “delight” for over a half-century now, but in all that time, its text has only become “interactive” through various awkward arguments over Thanksgiving dinner and, of course, by living in the current U.S. economy. But thanks to the free market (and nothing else), Atlas Shrugged is now available as an interactive iPad app through the Penguin Group, collecting the original, unabridged text with expanded material such as video and audio interviews with the author, various articles on Objectivism and “the state of business and government," and “a photo gallery of early images” of Rand herself to gaze at adoringly in your rare downtime from producing. Even better, the app boasts a collection of “memorable quotes that can be easily shared via Facebook, Twitter, and email,” thus giving your routinely expressed, vague anger with “the government” some patina of intellectual grounding that your friends can “Like” and add, “So true!” after. 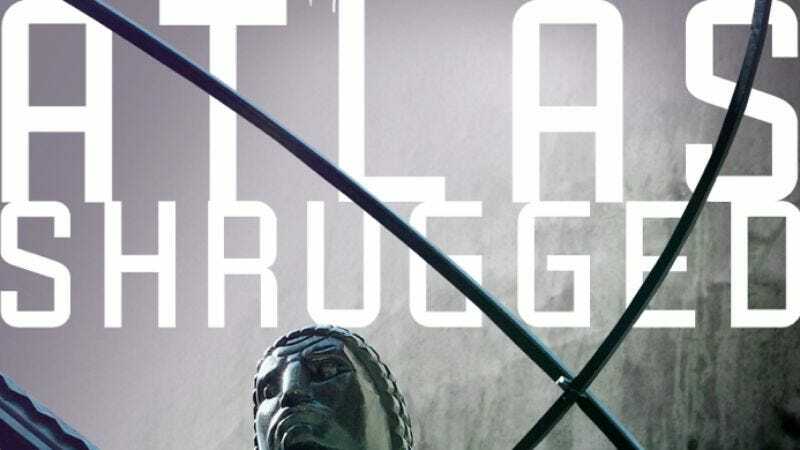 Unfortunately, so far the Atlas Shrugged app does not feature any games where you can load up a train with sociology professors and cowardly schoolteachers, then crash it in fun and wacky ways to teach everyone a lesson about bureaucracy, but hopefully that’s coming in an update.